An automobile component manufacturer had an inconsistent, inaccurate, and labor intensive manual inspection process that resulted in out-of-specification product being delivered to its automobile manufacturer customers. These product ‘escapes’ were causing major rework activity and sometimes resulted in batch rejection by the customer. 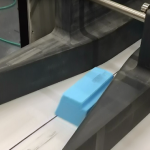 Catching the bad product prior to shipment was made even more difficult because of a high product SKU mix and a need to inspect each part in three dimensions. An inspection recipe-based training and control system, based on VAIA’s SurePro architecture, whereby the operator selects the product SKU to be run and all mechanical variables on the line are automatically adjusted for that part SKU. 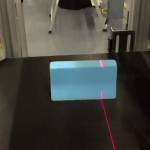 A 3D measurement scanner, with which to image and analyze the part’s shape, length, width, height, curvatures, and angles as it moves along the conveyor without the need for any contact of the part. Multiple air blow-off reject stations that classify the reject as either 1) the wrong part or 2) a correct part that does not meet the metrology standards established. 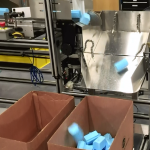 A box-filling control system that counts the parts loaded and temporarily stops the product flow to the box as the next empty box is automatically moved into place to continue automatic loading. 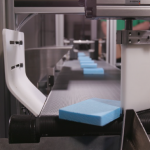 Significant improvement in productivity and throughput based on greatly improved inspection and packaging efficiencies. Customer experienced a 3X improvement in throughput over the prior manual process, with much higher process accuracy. Rapid recipe/SKU changeover by the operator provided for process control across 1200 discrete product SKUs. Customer’s return on investment on the system was just over 6 months. VAIA has delivered 5 systems to the customer with additional units on order. Click Here to more learn about VAIA’s expertise in the Automotive Industry.